You spouse might love surprises, but buying a franchise shouldn’t be one. Herein we explain why it’s crucial to involve your spouse in franchise-buying process. If you are like most couples, the chances are that you keep the sparks flying by treating each other with thoughtful surprises. While that’s all good and dandy, don’t make a mistake of surprising your spouse by buying a franchise without their involvement, even when you are still exploring your franchise options. Why? Here are a few reasons why “going it alone” when buying a franchise is a terrible idea if you are married or in a legal union. Unless you are sitting on a large pile of money, buying a franchise is no small financial affair and one that should not be taken lightly. It is not a career/professional decision (which you must involve your wife or husband, by the way); it’s a huge, life-altering decision. This is especially true if you are planning to quit your stable 9-5 job to become a full-time franchise owner or operator. Ditching a full-time job for entrepreneurship will have a massive impact on your whole family on several different levels. For starters, you’ll say goodbye to regular income from a handy paycheck, which can go hand-in-hand with your health coverage and other benefits like dental. Also, you might have to tap into your retirement fund and savings to finance your franchise purchase. With that being said, you will also have to put in long hours, efforts, and mental energy to get your franchise business off the ground and run it. Oftentimes that means you’ll spend less time with your family (unless you’ll be working together). As if that isn’t bad enough, you might also have to take out a business loan, something that can put your financial health in jeopardy. Yes, buying a franchise can be quite exciting, and it should be; but not involving your spouse in the whole process can create undue tension at home or put unnecessary strain on your relationship. So, keep him or her in the loop so that they can get ready for the new set of changes and challenges that come with owning and running a franchise. And given that you’re putting your family finances in line, you are better off making the decision as a couple. 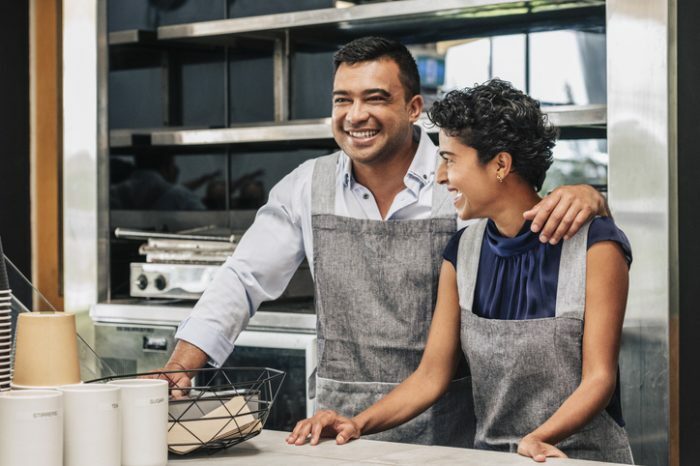 Perhaps the biggest reason to involve your spouse when purchasing a franchise is to get his or her opinion and perspective. As an individual, your spouse can bring plenty of new insights to the table. She’ll look at a franchise opportunity from a different angle, uncover issues you didn’t notice, and give it an entirely new outlook, which makes the whole franchise-buying experience holistic. Making such a big, life decision without the knowledge or involvement of your spouse can come as an emotional shock to him or her. Remember calling it quits from a career that you’ve built for decades for franchise ownership can be truly emotional. It’s a new page in your life, and your spouse should be part of it. Well, who will be by your side, comforting you if the franchise business doesn’t take off? It’s a well-known fact that money is the fuel for most couples’ arguments. In fact, a recent study by researchers at Kansas State University revealed that arguing over financial matter is the no.1 cause of divorce in the United States. So, if you don’t want to find yourself in a messy divorce or separation process, ensure to engage your wife or husband from the start to the end of the franchise buying process. After all, you’ll be writing a 5- or 6-figure check to cater to upfront fees and start-up costs. No doubt taking a leap from full-time employment to facing challenges of business ownership can be quite stressful, if not downright daunting. However, you are doing something wonderful for yourself, your financial future, and your loved ones. It’s something that your spouse will love you for it. So, don’t be afraid to keep him or her posted right from the outset.